Note: As of December 2012, Do Not Track Plus has been renamed, revamped, and re-released as DoNotTrackMe! Give us the chance to convince you why our new free browser tool will give you the most control you’ve ever had over your internet life. Do Not Track Plus (DNT+) peels back the cover on invisible online tracking and targeted advertising, stopping you from being followed online. 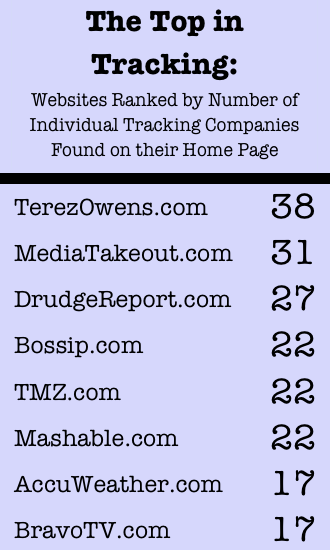 And yes, you are being followed: online tracking is a very real thing, even though you can’t see it. It’s time to stop sharing your private information with people you don’t know! There must be a catch, right? How could DNT+ be free? No catch. We have a freemium model, meaning that we offer a free base service (DNT+) and separate paid upgrades, such as our DeleteMe service that removes our customers’ personal information from public websites. We are also working on another software offering called MaskMe that’s currently in beta, but it will have premium upgradeable features like forwarded emails and phone numbers. The business model is to make awesome products that people love, have lots & lots of free users (and DNT+ will always be free), and then if some of our users want to support us by buying some sort of premium upgrade down the line, we’re good. We’re also completely dedicated to your privacy, so don’t collect or track anything when you get DNT+ (unlike *cough cough* those other companies with shady ties to marketing people) . The only thing we can see is that a download took place by a certain IP address so we can figure out how many users we have. There are no forms to fill out and no tracking of any kind. In fact, the only connection we ever have to the software is when it asks our servers for updates on new trackers to block. That’s it! Why should you care about online tracking? Online tracking is a lot like this scenario: you’re browsing online like you always do, but there’s a guy you don’t know standing behind you, looking over your shoulder. He’s watching everything you do and keeping notes, notes that he’ll use to build a profile of you: the pictures you upload, the things you like on Facebook, the sites you visit most, the things you like to buy, where you live, and more. He’s going to sell this profile of you, with all your browsing information, to other guys you don’t know. You’ll be shocked to see how many different companies are monitoring you on a single website. Check out our “Top in Tracking” below for a preview of what you’ll come across. And because loading all of these tracking companies’ data takes up your computer’s resources and your time, blocking them with DNT+ lets you load certain websites up to four times faster! Although it is a powerful privacy tool, DNT+ is simple, user-friendly, and free. Its icon sits in the corner of your browser and displays a number on each site you visit, which represents how many companies are attempting to gather information about you. By expanding the DNT+ window, you can see more details on the specific companies and technologies attempting to track you, as well as an all-time count of blocked tracking attempts. Download DNT+ today and take charge of your personal privacy once and for all. It’s available today for Internet Explorer, Chrome, Firefox, and Safari browsers. Learn more about how DNT+ works here, and check out what people are saying about it. Don’t hesitate to say hello if you have any questions, comments, or suggestions! It’s great to see such addon for improving privacy. Although, an addon has the potential of tracking *everything* you do on your browser, thus becoming a greater concern. I would expect a company concerned with giving back the privacy to the users to act transparently, as opposed to the darkness in which many companies prefer us to be (specially noticeable in how they choose to disclose some information when they are forced to, there are some good examples in your site). As the only way to know what an addon really does to the browser is to look at its code… then, why is it minimized? We regularly let security professionals and other independent people review our source code. If you’d like to do that, email our CTO Andy at Andrew at Abine dot com. It’s obfuscated/minimized because A), it decreases download size, and B), we’re a privately-held company and we worked hard on our software, so although we’ll give it to users for free, we’re not going to give it to competitors. Thanks so much for providing this software, it’s great. Thank YOU so much for using it and letting us know that you like it! Any way to block the tracking – but to continue and allow the ads to appear? This is a good question and a complicated issue. Our goal with DNT+ is to continue to allow ads that DON’T track you. We don’t want to disrupt the financial ecosystem of the Internet; we want to keep it free. There’s a big difference between content-based online advertising and targeted advertising. Seeing personalized ads on Pandora based on the music you’re listening to is called content-based advertising: it’s based on the content you’re seeing right then, and it makes sense. People expect that. I happen to think it’s totally fine and even helpful in some cases. In contrast, targeted advertising isn’t based on what’s on the page you’re visiting, but what was on other sites and pages you visited before that one. So as an example, I’m looking up workout equipment on Amazon before I come to a blog, so I then see workout-based banner ads on that blog (which probably has nothing at all to do with exercise). Targeted advertising refers to the advertising networks that follow you around and target you with ads based on your behavior, not your current site location. One of the biggest distinctions is that your data is leaving the realm of a single company and trading hands, being sold around, etc., which is when the potential for abuse really grows. Unfortunately, many ads–even non-tracking ones–are built with tracking technology embedded, so DNT+ ends up blocking some of those “by accident.” That’s not what we want to do. Listen up, ad companies: make a clearer distinction, from the ground up, between tracking and non-tracking ads. To sum up, you should still see ads when you’re using DNT+, but they won’t be targeted or personalized to you. Installed DNT+, but when I close the browser and restart it, the icon disappears and I have to uninstall and reinstall to get it to show up. Tried your video directions, that doesn’t work. What am I doing wrong? Hey there, and sorry you’re having trouble. I’m guessing you’re using IE…am I right? Just email us at Support at GetAbine dot com and we’ll help you out. I love the way this company takes an approach to protecting our privacy, in fact, I’ve done a mini blog review about Abine Inc Do Not Track Plus on my own blog. If you would like to check out my review (my take on the software you can visit the following link and read up. Thanks Abine for creating such a wonderful add on. Thanks for your support and for writing about us on your blog. You’re right that Facebook sometimes acts odd when you try to block their tracking. Facebook makes 85% of its money from advertising, and they make it complicated for you to use their site in a way that interrupts their ability to collect your personal information. Using Facebook is basically agreeing to be tracked. Although we can stop them from tracking you OFF of Facebook, including through Like buttons, there’s nothing that DNT+–or anyone else–can do about them ON Facebook. Anything you voluntarily post, like photos, your location, your comments, and your interests, is used for tracking purposes. Our best advice is to set strict privacy settings, be careful of what you share, and avoid games & apps that are essentially marketing companies in disguise. Facebook isn’t truly a free service; it’s paid for by its users’ information. That’s why the DNT+ icon turns yellow on Facebook: even if you can’t see any tracking companies in the alert window, you should surf with caution. How does this compare/contrast with the Ghostery plugin? 7. Unlike Ghostery/Evidon, we don’t collect any of your data when you use DNT+. All we see is that a download occurred, which lets us know how many users we have. You can start using DNT+ with 1 click and no exchange of your personal information. Are there any bugs in the software – is it fully compatible with Win7/IE? Whether it’s compatible and whether there are bugs are 2 different questions 🙂 It’s compatible with IE8 and up, although there are still a few bugs. We’re working on them. If you see anything, let us know at Support at GetAbine dot com. Sorry – didn’t ask the right question – Is it better to remove all of any other tracking protection add-on(s) in IE before installing DNT+ – Or, does it not make any difference to performance etc (assuming the DNT+ software, otherwise to be bug free)? That is, are there any known compatibility issues with other Tracking Protection or other IE ‘add ons’? – ZoneAlarm conflicts with DNT+ and makes our toolbar icon disappear even when ZoneAlarm is disabled. – If you are running both Ghostery and DNT+ at the same time, then sometimes DNT+ will report lower numbers of sites blocked because it never sees the request to the tracking site once Ghostery blocks it. Probably because of the order you installed the add ons, Ghostery is first in line to block requests. Once a request has been blocked, processing on that request stops and other add-ons never see it. In your configuration, then, DNT+ is working as a back-stop to Ghostery, so any numbers it reports are ones that Ghostery missed. My system is running XP SP3, IE8. DNT+ works perfectly in Chrome and (probably) in Firefox. I say “probably” because I use FF less than Chrome. But in IE either there is a compatibility issue with another add-on or it fails properly to install – the icon is in the toolbar but never shows any numbers of sites blocked. in addition, I have several times seen a pop-up stating that DNT+ has encountered a problem and had to close, and earlier it crashed with a Microsoft-type error dialogue. Someone (Abine or Microsoft) was sent an error report automatically. And now I can’t uninstall the program from Add/Remove programs because the uninstall.exe fails to find a “proc”. So Chrome, FF, yes it’s a good product. XP/IE8 looks buggy, or else it clashes with something else in IE. Hmm. Send us an email to Support at GetAbine dot com and include what you just posted, and we’ll take a look. Sorry for the inconvenience! Looks like exactly what I’ve been looking for.I’ve been hacked badly and anything that keeps me hidden from internet is wonderful. Plus I do not want everyone in the world knowing all my personal info from just a little bit of formation that I supply on computer.They seem to find out things about me and my family & that is scary. If this software does what it says it will ,it will make me feel a whole lot safer using the internet. I’ve almost become afraid to even get on it as bad as I was hacked,Thanks for coming up to make it safer. It’s definitely scary stuff, and I’m sorry to hear you were hacked. Thanks for your support, and we’re glad to help you feel more secure when you’re online! Thanks for creating a great product to protect us. Thank you, Gail! We’re scared, too. This stuff can be shocking. We’re doing everything we can to make people aware of these privacy risks and give them the tools to help. Thanks! Glad you like it. What you’re describing with ads following you across the Internet is called “targeted advertising,” also known as “behavioral advertising.” Advertising companies build up profiles about you based on what you do online–what you click, read, buy, type, etc. They then target you with personalized ads based on what they think you like. That’s why you’re seeing banner ads that seem to follow you everywhere. Do Not Track Plus blocks targeted advertising. You’ll still see ads, but they’ll be based on the page you’re viewing right then, not your previous browsing behavior. Is DNT+ also available for Linux? I’m using Firefox on Ubuntu Linux. Yes, DNT+ works on Linux! It would be great if someday you could create this as an extension for Opera, as that’s my main browser. Thanks. There are a lot of Opera lovers out there, and we’re working on it for you guys! Stay tuned. What about safe browsing for iPhone/iPad/iPod? Is it necessary? Available? Coming? I would like to find is the key to this problem. Speaking with someone regarding this on a personal level so that I can ask ALL of the questions that seem to crop up daily. I am working on putting up a website. How can I have any success with the site if there is no info on me listed? It’s a non-profit; and before people consider paying membership dues, I’m certain they will want to garner as much info on me as possible. If you would trust me with a contact number, I have no problem giving you mine. Please get back to me on this ASAP. Time is crucial, as I’m sure you know. Please do not post this for others to read. This is a confidential issue for me. Thank you in advance. Hi Vernice, and thanks for your question. Feel free to email me directly, Sarah at Abine dot com, and I can take a better look at your question there (and take it to the phone if you’d prefer). Thanks for reading! Are you sure that DNT+ is as good as you said in the article ? I just installed DNT+ on Chrome, Win7 and now I can’t play videos on youtube or other websites. There doesn’t seem to be any information on DNT+ doing this , or how to fix this online. I want to watch videos, but avoid the tracking! Enabling the Youtube website makes no difference. Sorry you’re having a problem. Just email support at abine dot com with your question, and tell them Sarah from the blog sent you 🙂 We’ll fix it! Using Firefox (13.0.1) on a Fedora 17 Linux machine for abour 3 weeks and everything was fine intil 45 minutes ago when I went to show a colleague how well DNT+ worked and it had disappeared from my browser. Not in the top right bar, not in the list of add-ons. So…??? I just added it on again and it shows up once more. There isn’t a 30 trial or anything like that going on, is there? I must admit “Greasemonkey” also evaporated at the same time…It was the next icon. (DNT+) works great I haven’t had any problems some other people have. I use Internet Explorer 9 on a W7 computer. I think the bugs will be worked out as new updates come along. On another computer I have Zone Alarm Firewall Free Version and DNT+ does conflict. What I did was disable Zone Alarm and restarted my computer and it worked if that doesn’t work for you disable Phishing in Zone Alarm. I hope DNT+ will always remain free as stated this has to be the best free app I ever used. I’m not getting paid for this or work for the company I’m just pointing out how good it works for me give it a try once you use DNT+ you won’t be sorry. I downloaded your program. ie: “Four Social Networks tracking you” “Zero Blocked” WHY? I want them all blocked. When you install DNT+, it’s blocking almost every tracker that we know of by default. Although you can block every tracker, we suggest allowing specific trackers on certain websites to allow those sites to function correctly. For example, one of the main reasons people go to ESPN.com is to watch videos. But blocking certain trackers on ESPN.com can prevent videos from loading. We’ve identified those specific trackers and suggested that you allow them on ESPN.com, but they’re still blocked everywhere else on the web. I have read through all of the comments and no one has mentioned spam. I receive a lot of spam/bulk mail that is explicit in nature. If I download DNT+ on the iPod will that stop the daily emails I’m receiving? You need to support Opera! Haha, that’s a big compliment! Thanks! Is there an apple version of this?